A: A long time. Nothing lasts forever but by the time they need replacing you will have had many years of great enjoyment and use out of them. If the reason you need veneers is because you have short teeth (often because of grinding in your sleep – which you have no control over) - you may be recommended a night time guard to keep them protected from the damage caused by grinding. Failure to wear the guard could shorten the possible life of your veneers. Another option is to address the cause of the grinding which is often a bad bite with neuromuscular dentistry. Q: Do my teeth need to get cut down to stumps? A: To create an IDEAL cosmetic outcome, teeth may need to be recontoured to allow for the thickness of the NEW ceramic veneers to be placed over them without increasing the bulk of the tooth appearance. Just the right amount of tooth structure is removed to provide an exceptional cosmetic outcome. Q: How often do I have to wear my appliance? A: That depends on how committed you are to becoming well again. Unfortunately as soon as you take out the orthotic appliance you will go back to your old bad bite and we cannot get you better. The rule is 24 hours a day / 7 days a week. Only take it out to clean your teeth and even then don't put your natural teeth together. Longer term options are available once you are well including new porcelain restorations which give you new chewing surfaces to keep you at the right bite but are more like your real teeth. Q: I have heard the tests for neuromuscular dentistry are invasive? A: This could not be further from the truth? The tests to establish correct neuromuscular balance of your jaw position and muscles are NON INVASIVE. They are similar to the tests a cardiologist would do to determine the health of your heart! Also, once the tests determine the correct neuromuscular position of your jaw we can IMMEDIATELY start the process to improve or eliminate your symptoms. 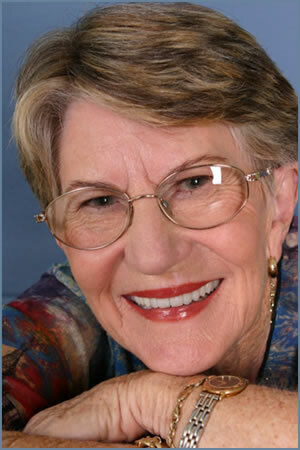 Q: I have tried everything – could neuromuscular dentistry help me? A: Neuromuscular dentistry has helped thousands of Migraine suffers around the world who now report no migraines or a major reduction in their intensity, if they are hormonal in occurrence. If you have tried everything else, what have you got to lose? Q: Can a neuromuscular dentist guarantee my migraines will disappear? A: A neuromuscular dentist will firstly determine whether or not they can help. If they believe there is a neuromuscular dental component to your problem, they will inform you of the possibility of reduction to your symptoms though they cannot be assured of this until the passage of time to allow healing. If there is NO improvement in your symptoms over a period of approximately three months, your neuromuscular dentist may not be able to be of assistance and your symptoms may be related to another problem. The good news however, is that most patients find they have a major reduction in symptoms in avery short period of time and there is a high chance your migraine symptoms will reduce or disappear.